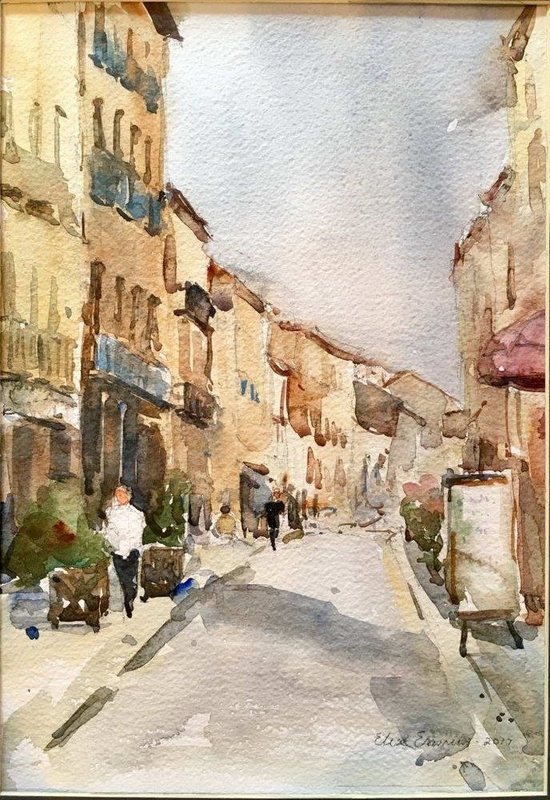 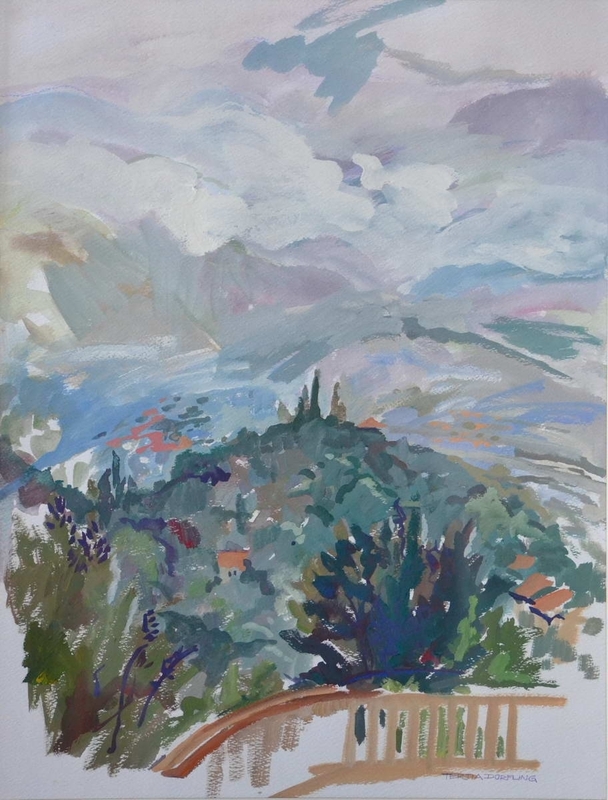 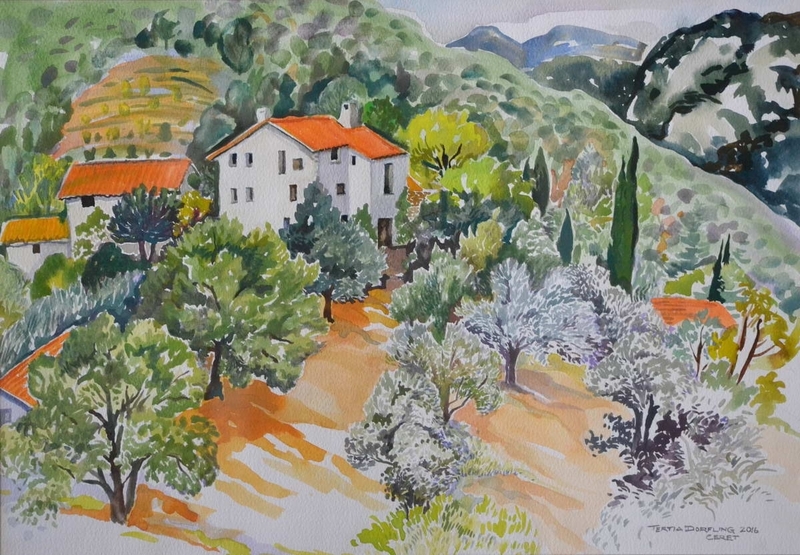 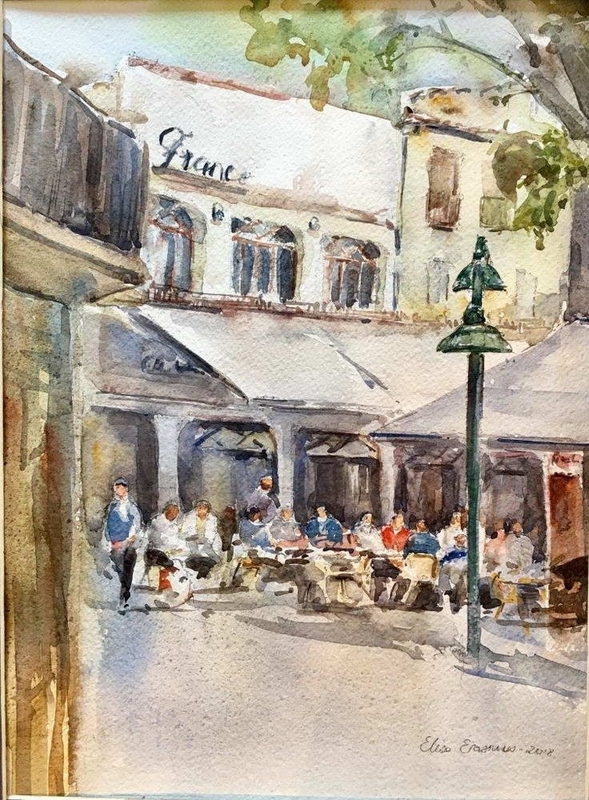 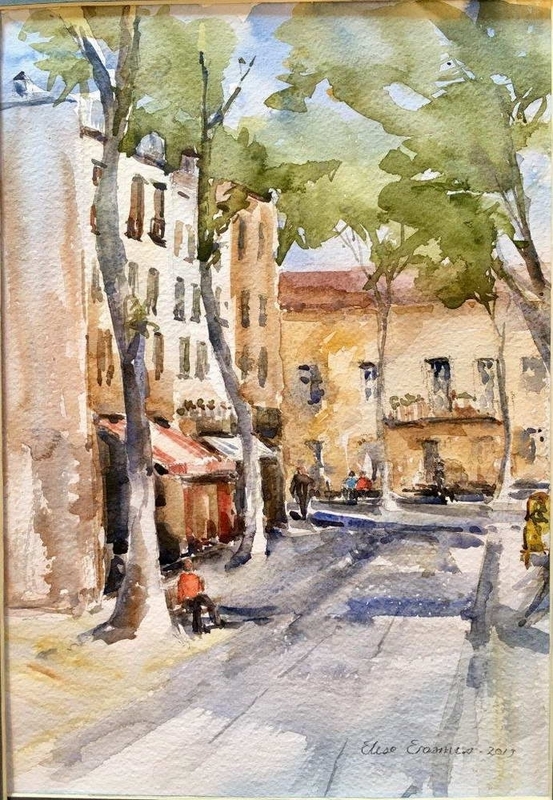 A group of South African artists were invited to Céret in the south of France for a painting workshop by renowned South African artist, Susanne du Toit. 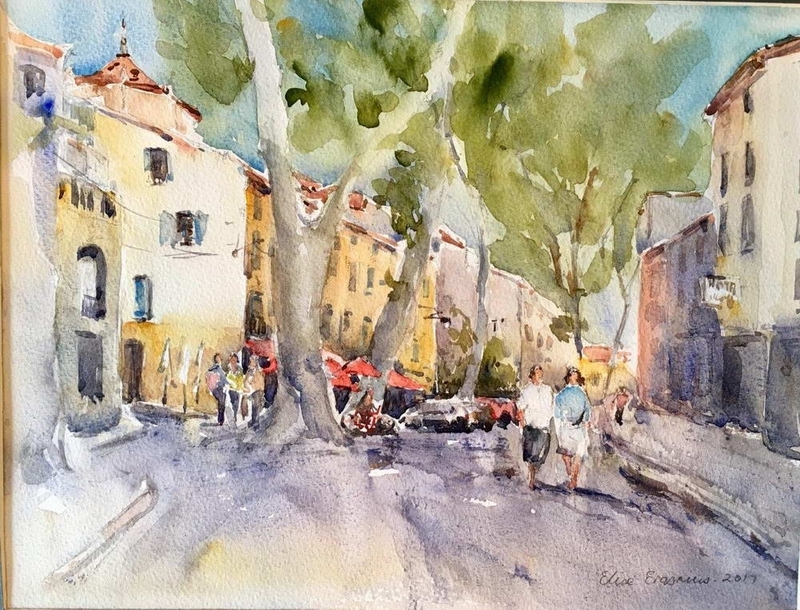 Susanne is the winner of the International British Portrait Competition 2013 and is currently living in England. 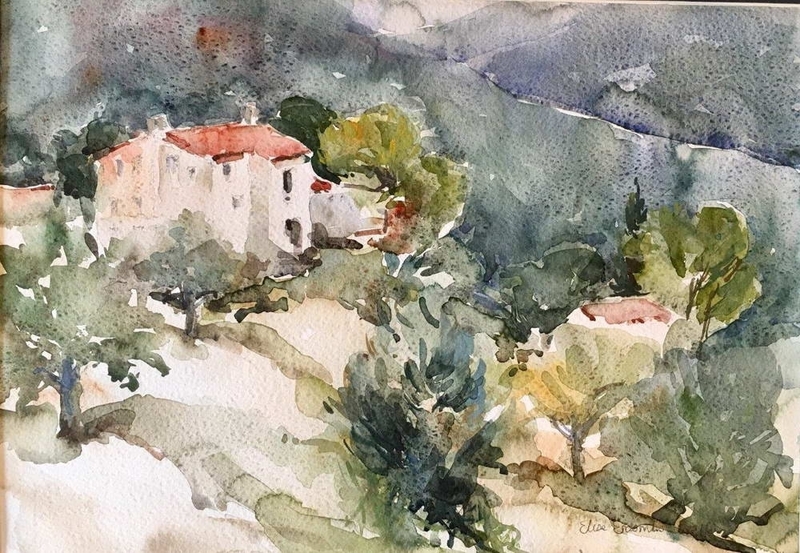 They joined other international artists from Barcelona, London and New York for an intense week of creative sketching and painting. 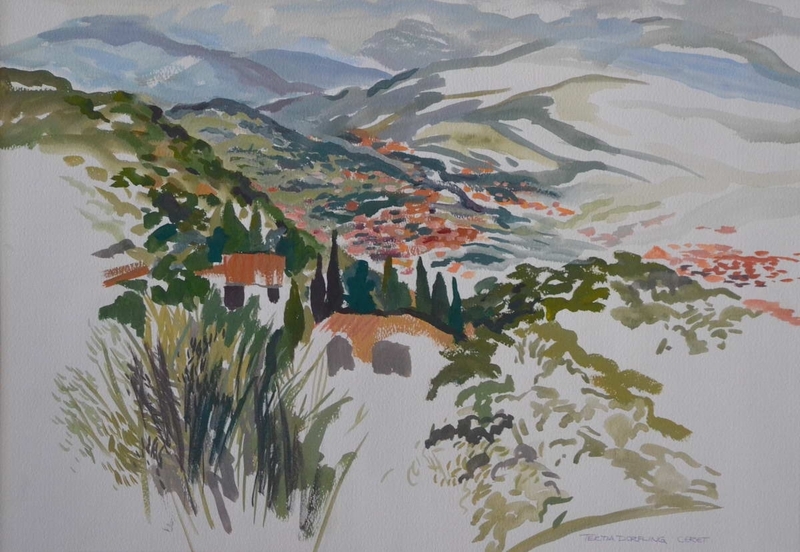 For Tertia Dorfling the greatest challenge was to work with quick-drying gouache on paper, especially as her preferred medium is the slower-drying oil paint on canvas. 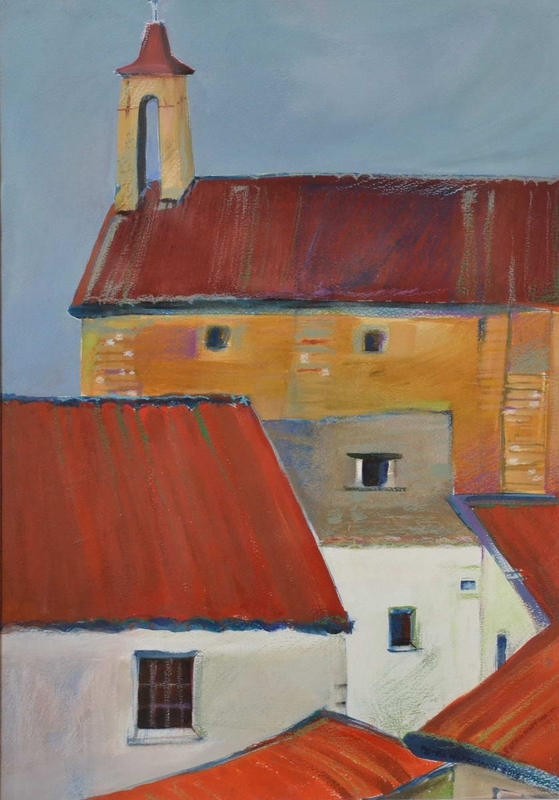 Tertia delighted in her discovery of a semblance between the medieval rooftop views and her favourite theme of Pretoria’s suburban rooftops. 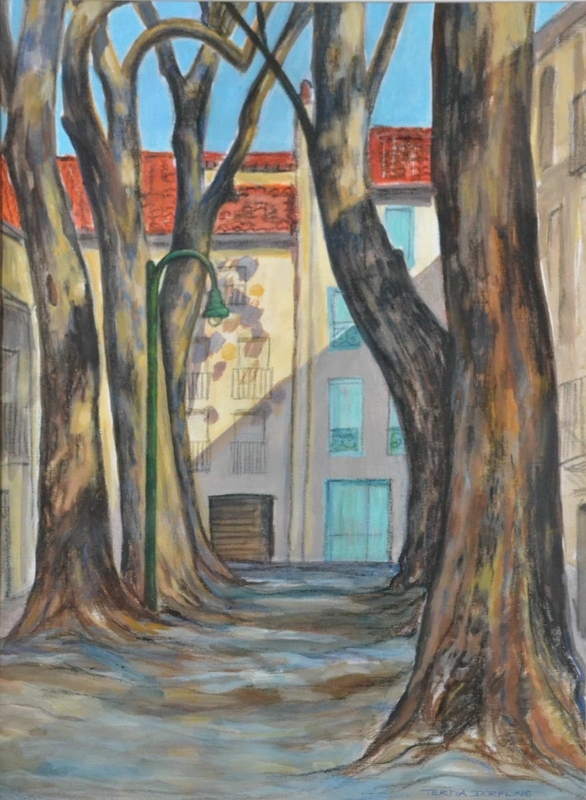 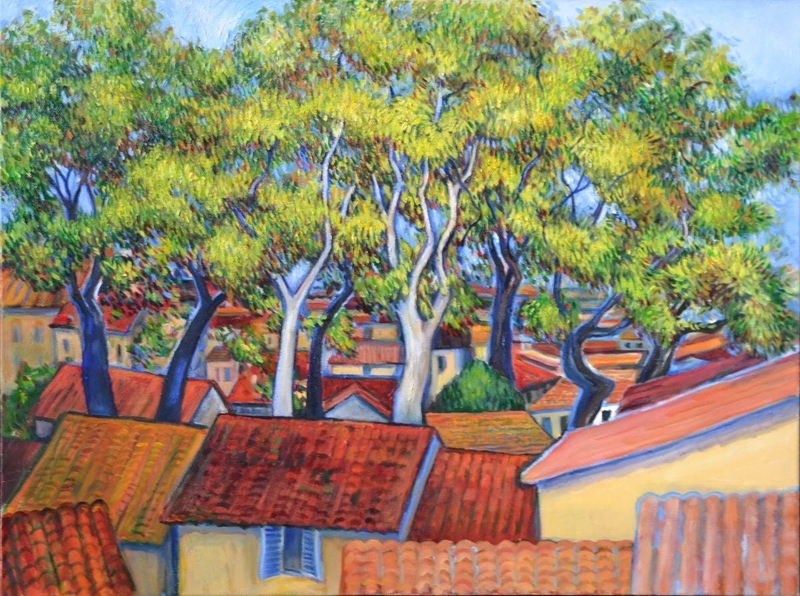 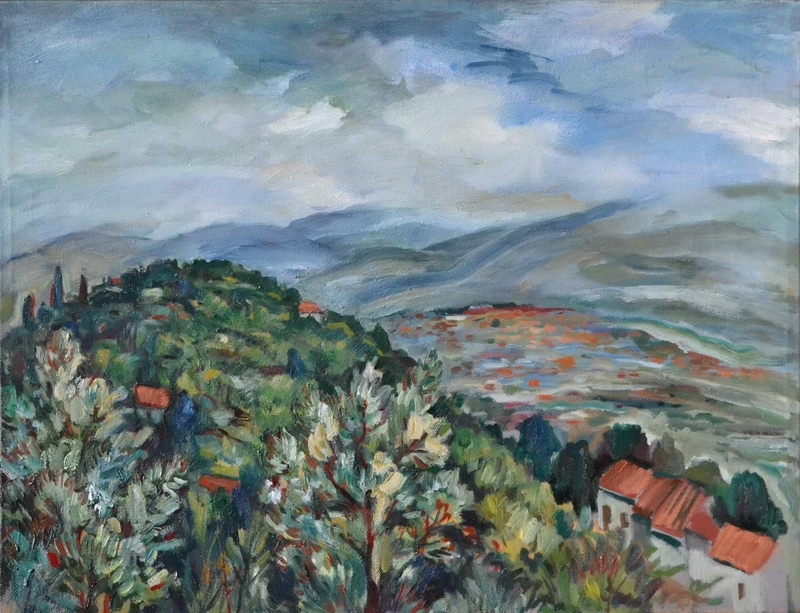 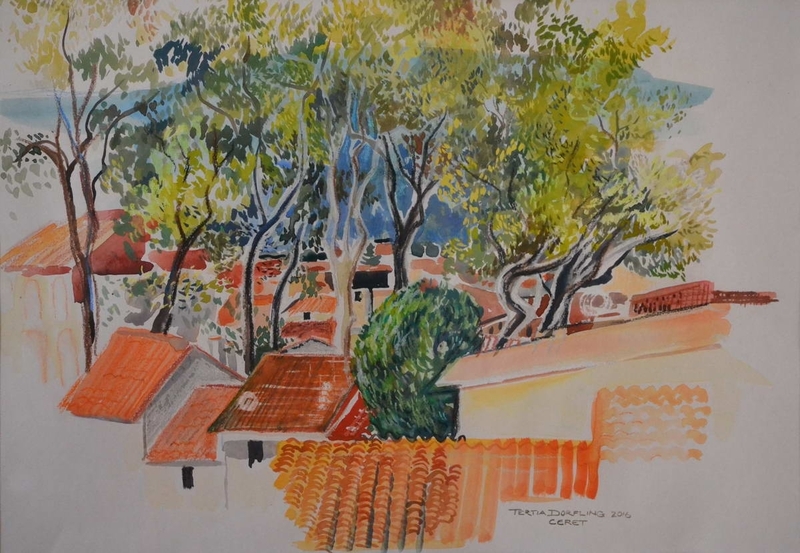 The very old and beautiful plane trees, so typical of the town of Céret, had a deeply emotional impact on her and resonated with her paintings. 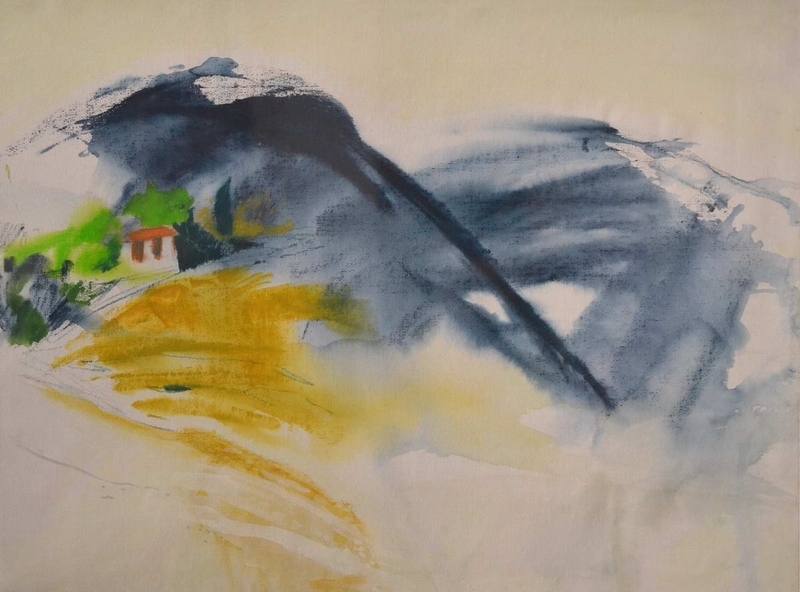 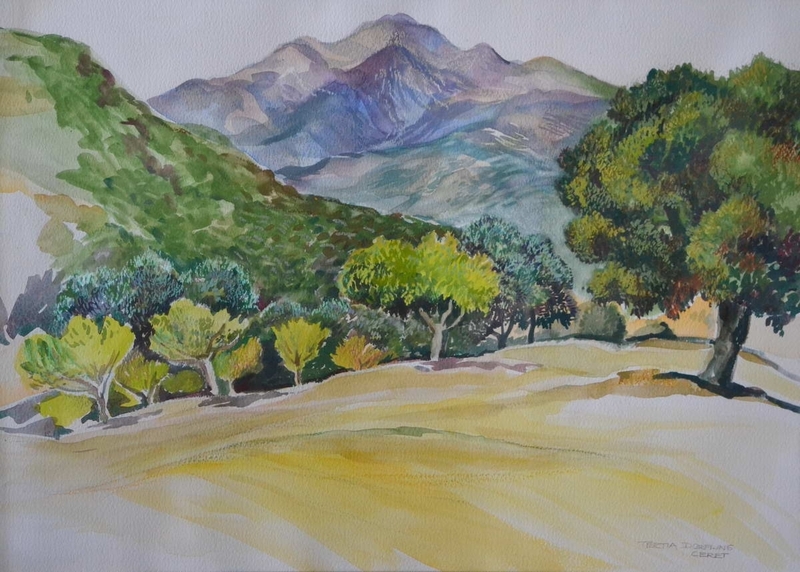 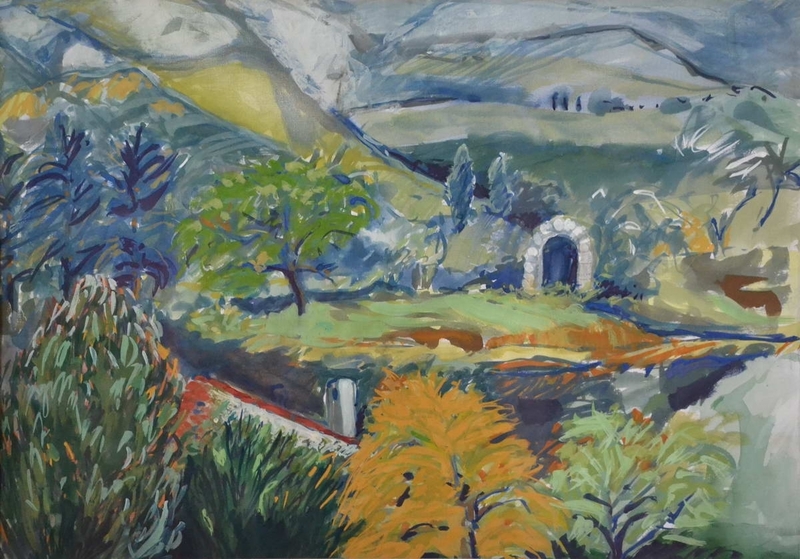 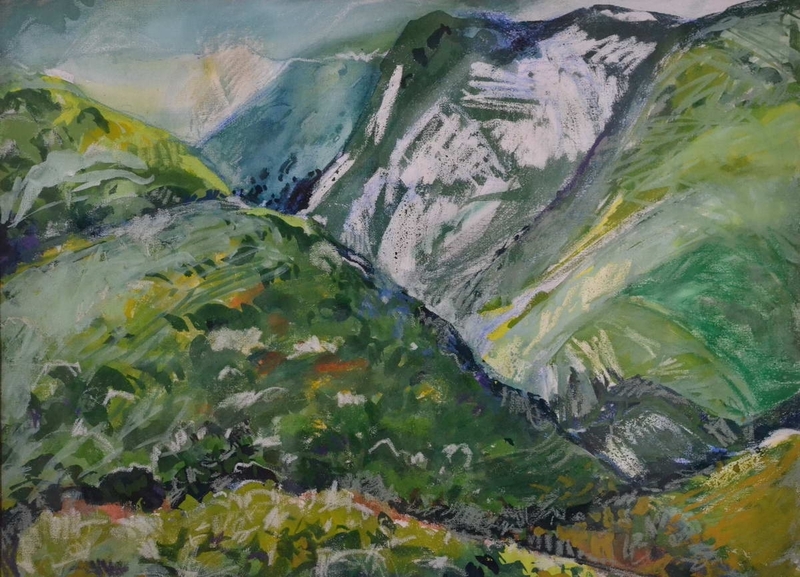 Elise Erasmus found the biggest challenge to be depicting in aquarelles a very different kind of landscape to the views she used to paint in South Africa. 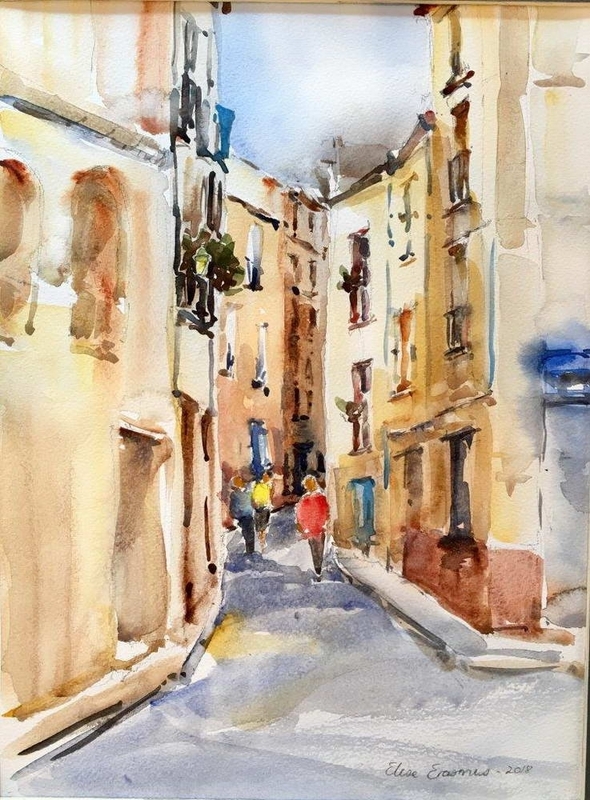 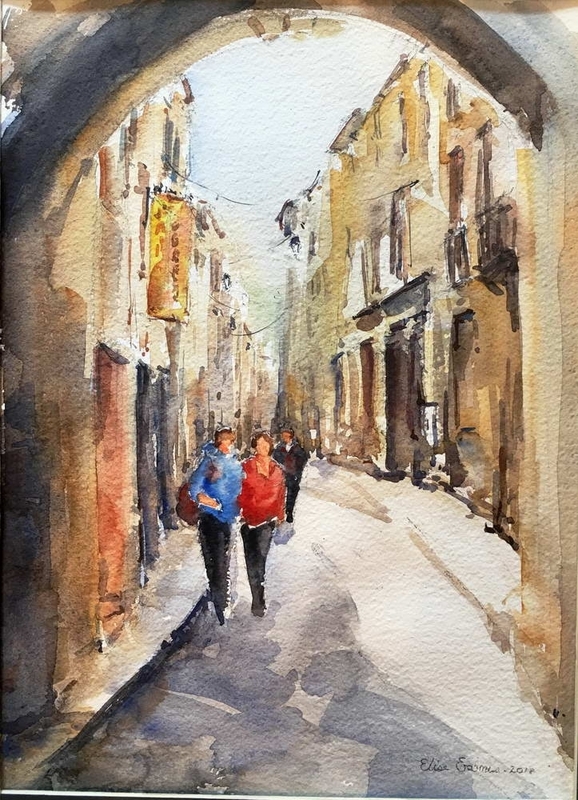 She also found Céret’s picturesque street scenes most inspiring. 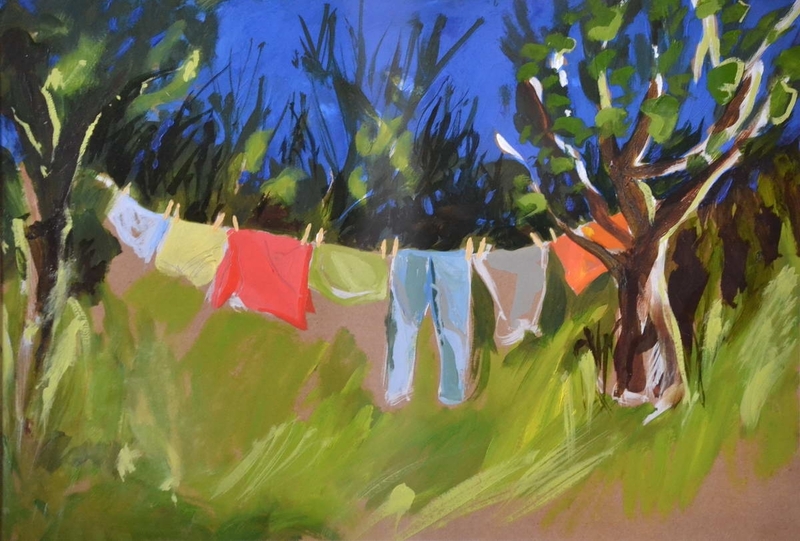 The figure drawing in the evenings was definitely a highlight and provided lasting inspiration to bring back home. 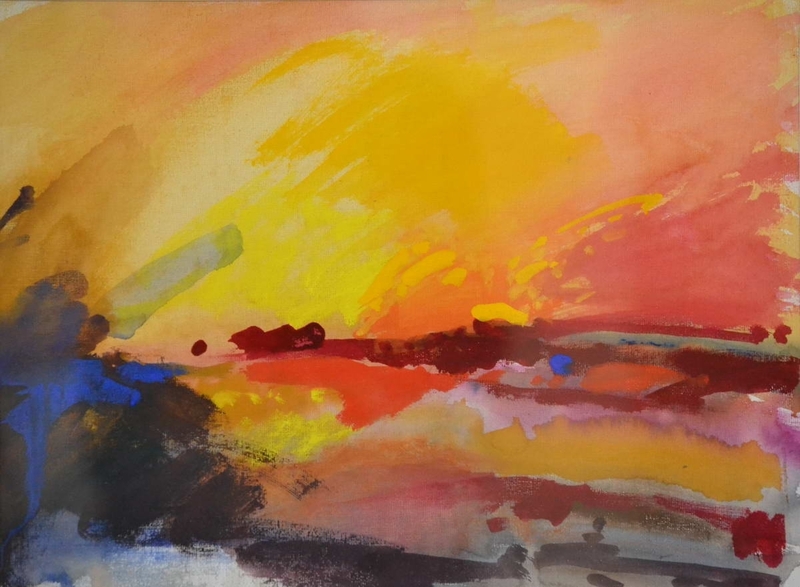 Petro Hoffmann delighted in the explosion of innovative energy and found the almost instinctive recognition of creativity between the artists from different backgrounds liberating. 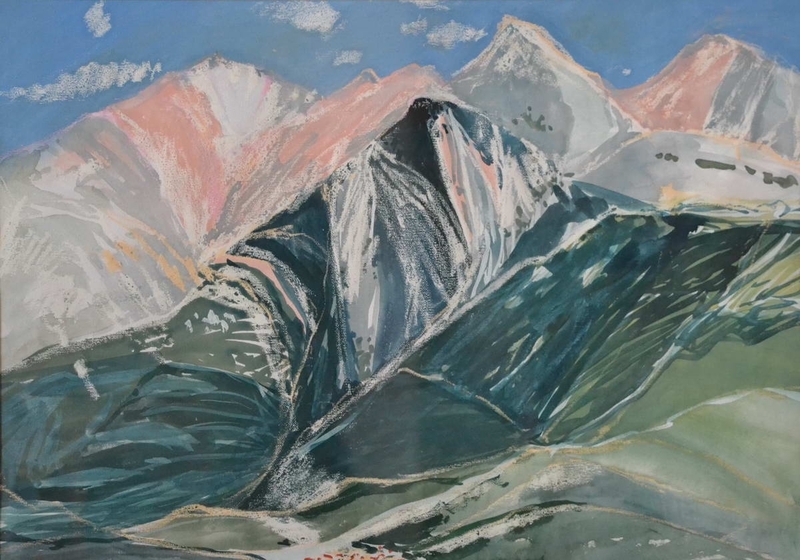 She has always been interested in the wider exploration of the landscape: not romanticizing the view but recreating it to reveal something deeper than the observable; the concrete scene is restructured in more spiritual terms. 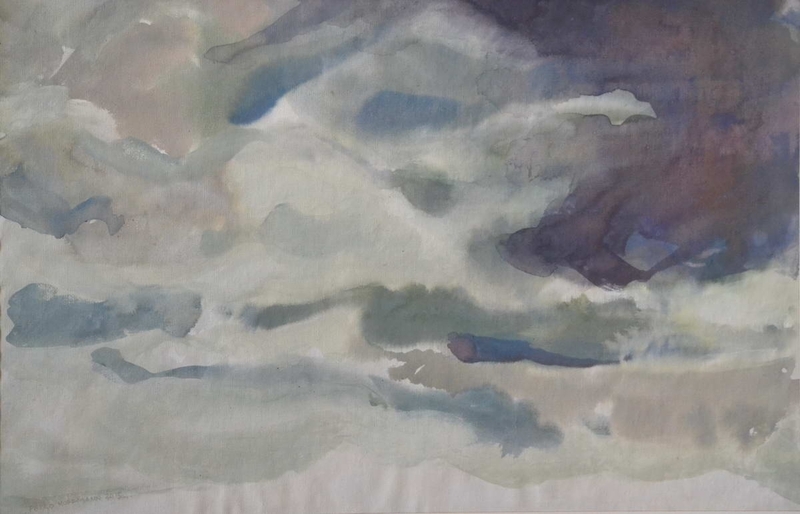 In her work, cloud formations and the folds and contours of the Pyrénéés around Céret become a symbol of Mother Earth, who gives freely, but also holds back. 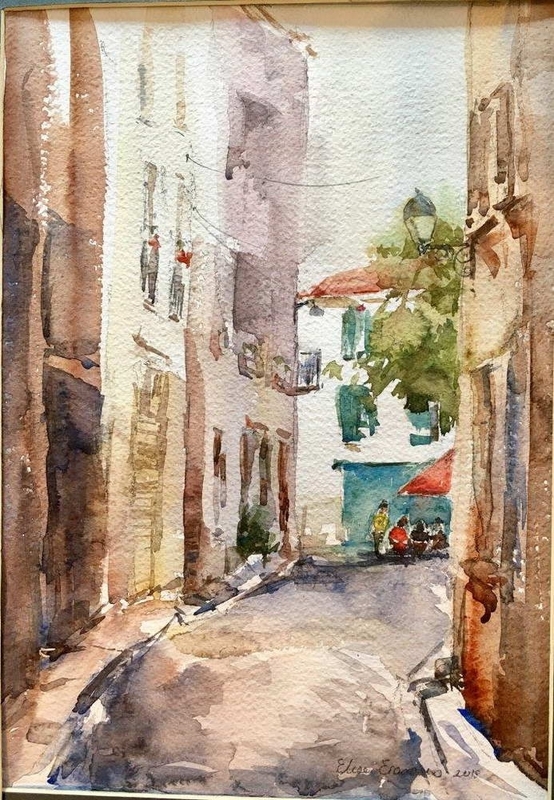 Light, darkness and shadow blend into an archetypal emotion.